John F. Kennedy Intl. - Norfolk Intl. Dallas-Fort Worth Intl. - Norfolk Intl. Have more fun, worry less and wander wisely in Virginia Beach! Get your vacation off to the perfect start by finding out a thing or two about this unique destination. 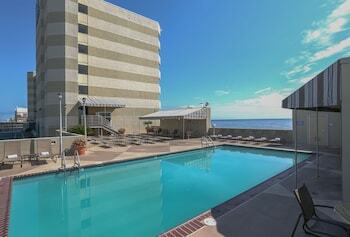 You'll discover this Norfolk - Virginia Beach neighborhood 12 miles (19 kilometers) to the east of the city center. 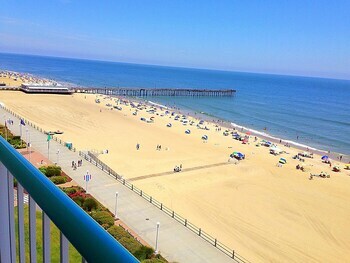 With Travelocity, it's never been easier to plan a trip to Virginia Beach and save. All you have to do is organize an airfare and accommodation bundle. Best of all, with no less than 400 partner airlines and 665,000 places to stay, it won't be hard to get what you're looking for. Our Customer 1st Guarantee offers 24/7 personal assistance on everything from airfares and accommodations to car rentals and activities. Have you seen a better deal? We'll meet the price and reimburse the difference^. 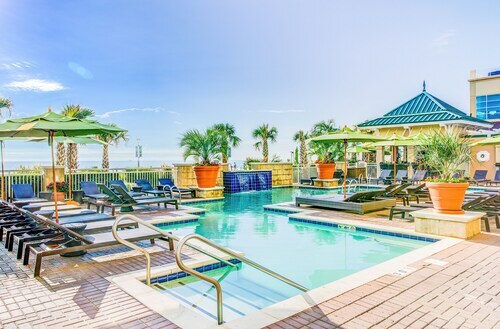 With no cancellation fees from us, you don't need to worry about changing your vacation plans. And as long as you get in quick, many accommodations won't charge you either^. 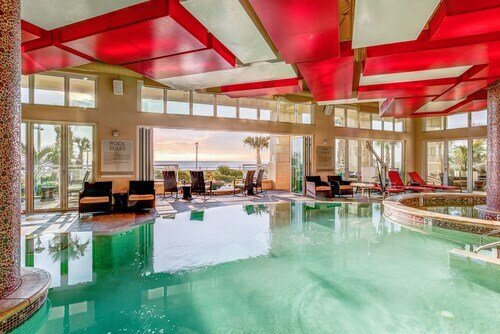 With 64 wonderful places to stay in the vicinity of Virginia Beach, you shouldn't run into any issues finding a room that suits. 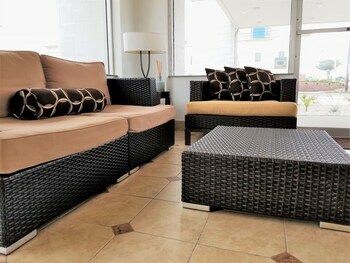 Check out our bookings page and choose from 64 properties a short distance from the center. Get a great night's sleep at the Hilton Virginia Beach Oceanfront (3001 Atlantic Ave) or the Courtyard by Marriott Virginia Beach Oceanfront South (2501 Atlantic Ave). Whichever you go for, it will make a wonderful base for your getaway. Where do you fly into for Virginia Beach? Airfares booked to Norfolk International Airport (ORF)? Pass through security, leave the terminal and you'll be 13 miles (21 kilometers) west from the central area of Virginia Beach. Can I rent a car in Virginia Beach? Forget the hassle of public transportation and expensive cabs. If you plan to do some exploring in Virginia Beach, it'd be wise to rent some wheels via Travelocity. We make it so simple that you'll be creating the ultimate playlist in no time at all! Collecting a vehicle right at Norfolk International Airport means you'll be out of the cabin and behind the wheel in no time at all. Alamo Rent A Car is a good outlet here. National Car Rental is also worth checking out. 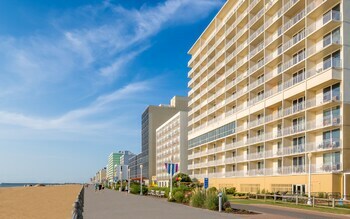 If you want to rent a vehicle in Virginia Beach, you'll need to head to a surrounding neighborhood to reach an outlet. Journey out to Enterprise in Lynnhaven. 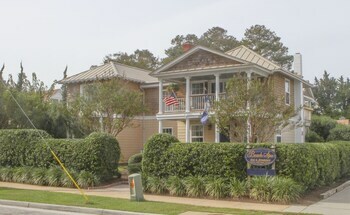 It's located at 3269 Virginia Beach Blvd, just 0.8 miles (1.3 kilometers) from the town center. Meet like-minded people and get prepared to be inspired at one of the conferences or cultural events held at Virginia Beach Convention Center. Seeking more nearby options? Every destination has its own interesting statues, but some certainly make you look twice! Come and discover one of the most prominent pieces of local art, Neptune Statue. But there's more. With its flashing lights and buzzing machines, Jungle Golf is a lively, stimulating place to visit. Have a game of pinball or just enjoy watching the little ones try and choose which game they want to play first! 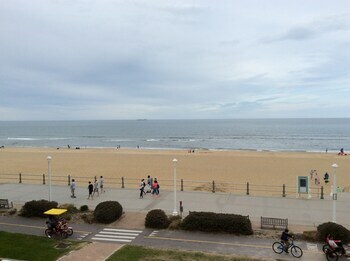 Pacific Avenue and Virginia Beach Boardwalk are well worth visiting while you are here. Pacific Avenue is about 0.07 miles (0.11 kilometers) away, while Virginia Beach Boardwalk is 0.1 miles (0.2 kilometers) away. 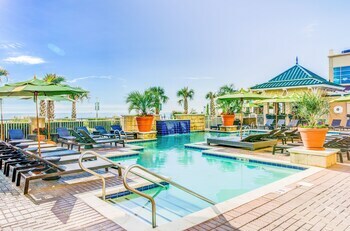 Located on the boardwalk just steps from Virginia Beach, Ocean Beach Club by Diamond Resorts is a 5-minute stroll from Neptune’s Park, where music lovers can enjoy free summer concerts. Virginia Aquarium & Marine Science Center is 12 minutes by car, and Norfolk International Airport is a 25-minute drive. 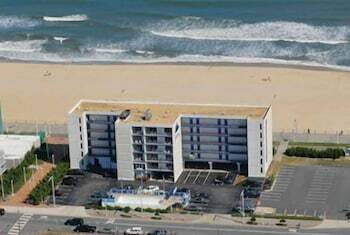 This beachfront Country Inn & Suites by Radisson, Virginia Beach (Oceanfront), VA is just east of I-264 and faces the Atlantic Ocean and the Virginia Beach boardwalk. All guestrooms face the ocean. 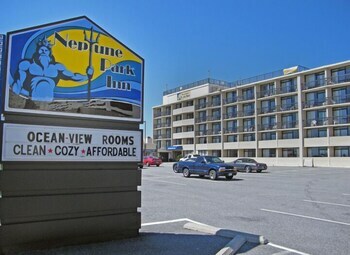 Situated by the ocean, this hotel is steps from Pacific Avenue and Virginia Beach Boardwalk. Virginia Beach Convention Center and Neptune Statue are also within 2 mi (3 km). 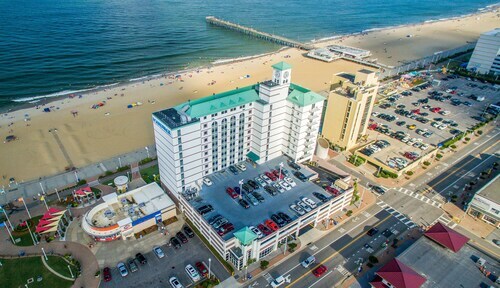 Located in Virginia Beach, this beachfront hotel is on the boardwalk, just steps from Pacific Avenue and Virginia Beach Boardwalk. Virginia Beach Convention Center and Neptune Statue are also within 2 mi (3 km). 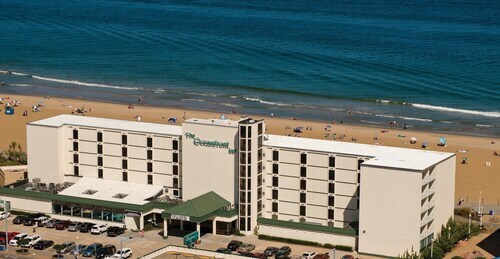 Situated near the beach, this hotel is steps from Pacific Avenue and Virginia Beach Boardwalk. Virginia Beach Convention Center and Neptune Statue are also within 2 mi (3 km).